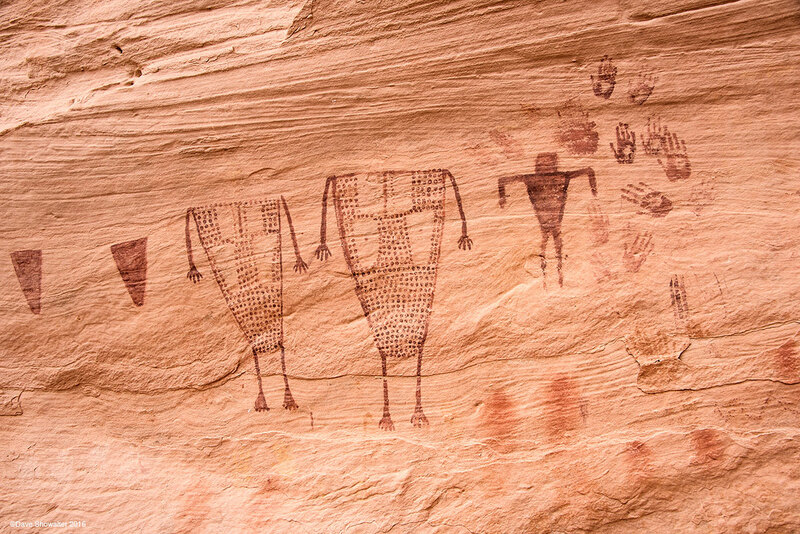 In Sheik's Canyon, deep in Grand Gulch is this stunning pictograph panel of headless anthropomorphic figures and human hand imprints, holding designs. We may try to figure out what the Ancient Puebloans were saying - I'm just awed and love the mystery of it all. Photo © copyright by Dave Showalter.